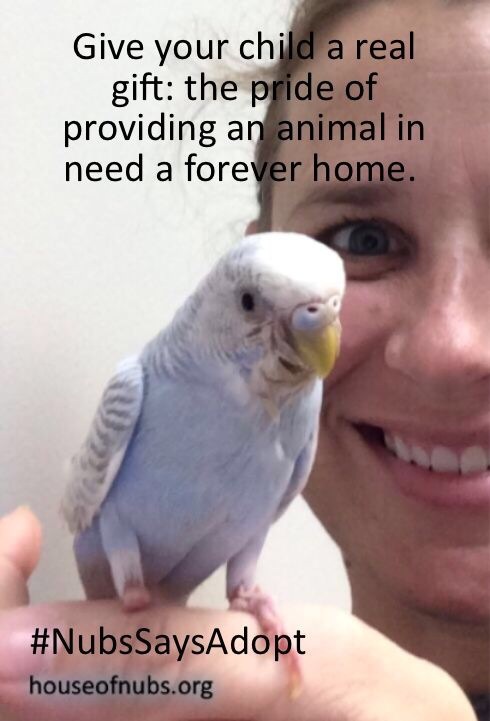 Posted on April 19, 2016 by Michelle M.
There is sad news in the budgie world. 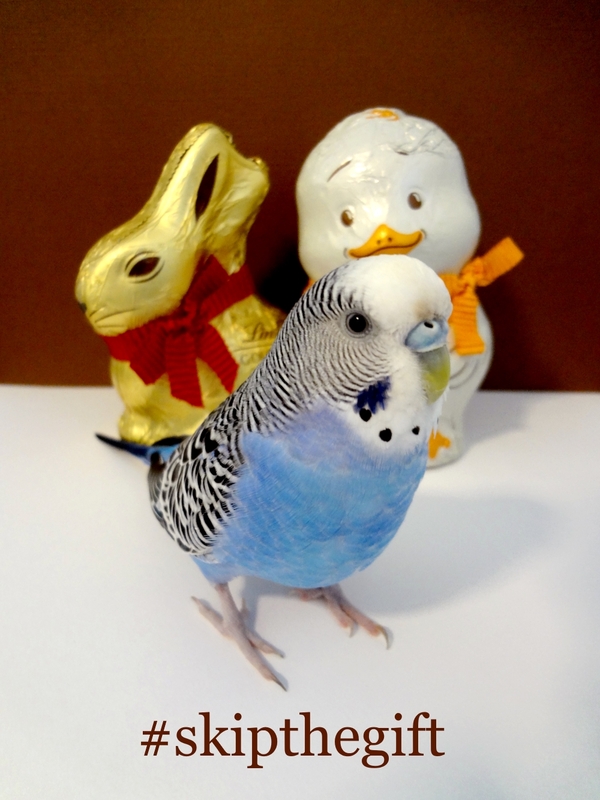 Nubs, the little one-footed budgie, has passed away. 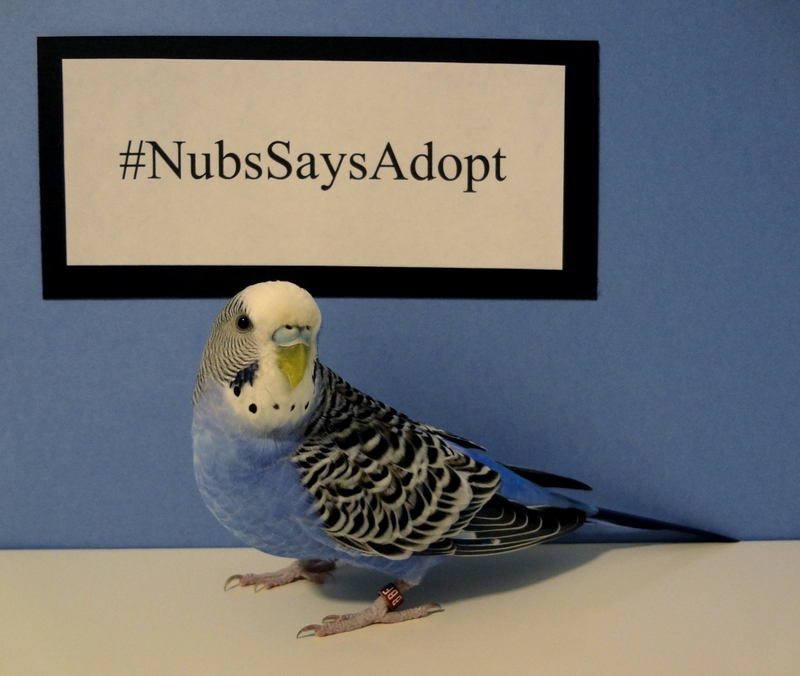 Nubs, who overcame a sad beginning, was adopted and went on to help found The House of Nubs organization. With his human and animal friends, he worked hard to teach children who have been through trauma, hope and resilience. He also campaigned for animal adoption. Nubs has encouraged and inspired many and will be much missed. His legacy lives on though The House of Nubs. You can learn more about the organization here or on facebook. 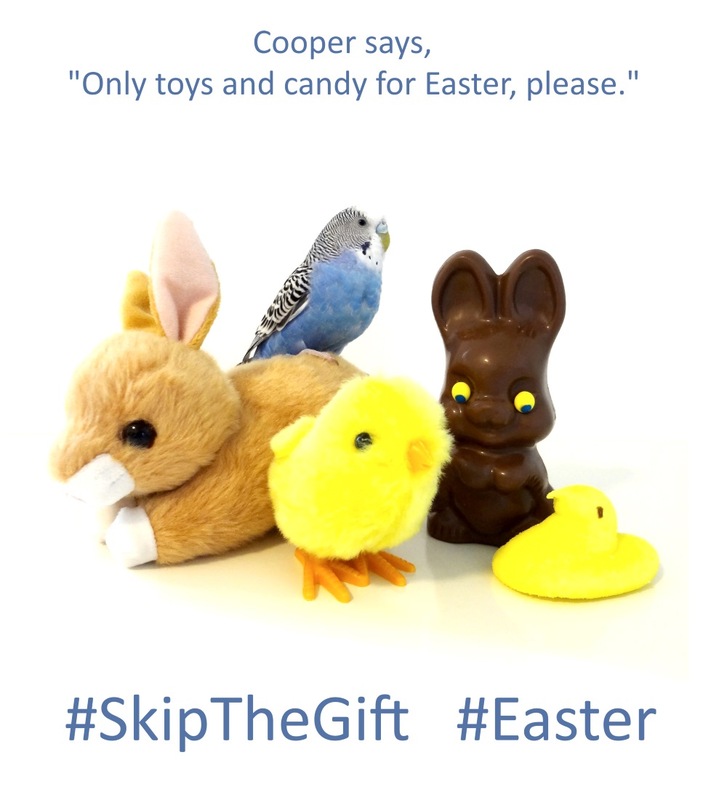 Posted on March 24, 2016 by Michelle M.
Cooper and her friend Nubs want to get the word out to not buy live animals for Easter. Candy and toys only, please. Posted on November 30, 2014 by Michelle M.
Cooper is taking the day off from taking the day off to ask for help in spreading the word about pet adoption. If you would like to help, please post #NubsSaysAdopt to your Facebook page between 4-9pm CST today. Thank you from our little rescue birds Ozzie, Sunny, Alfie, Emmy, Lera, Felix, Harvey (and Gordie). Posted on November 29, 2014 by Michelle M.
And so does Cooper! Coopers friend, Nubs is spreading the message to not purchase pets this holiday season, but to adopt instead. 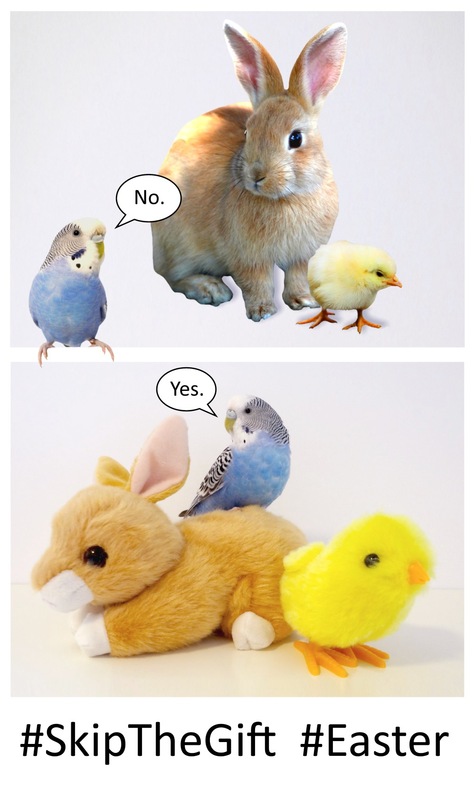 There are many wonderful cats, dogs, rabbits, birds, etc. who would love to find their forever home. If you are considering adding to your family, please check with your local animal shelter, rescue organization or Craigslist first. 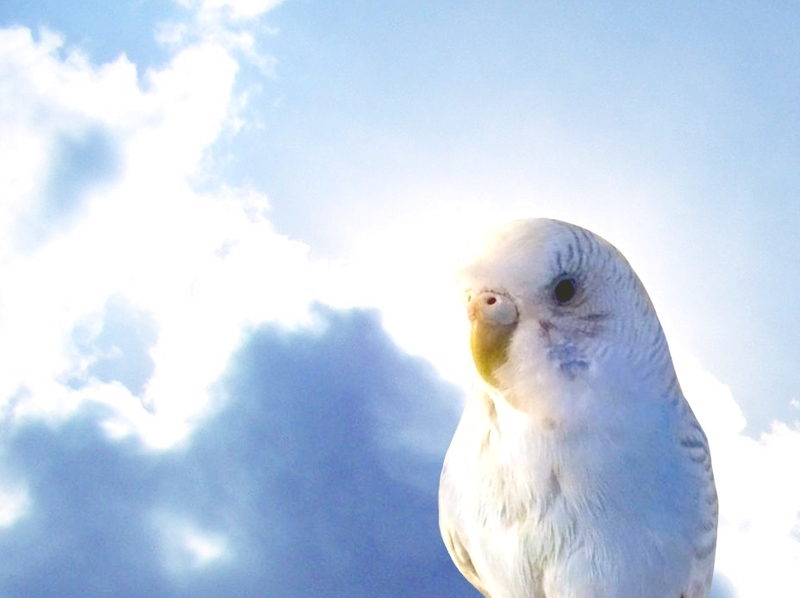 Seven of our eight budgies are adopted, and each one is a treasure. If you would like to spread the message, please post #NubsSaysAdopt to your Facebook page between 4-9pm CST tomorrow (Sunday, November 30). 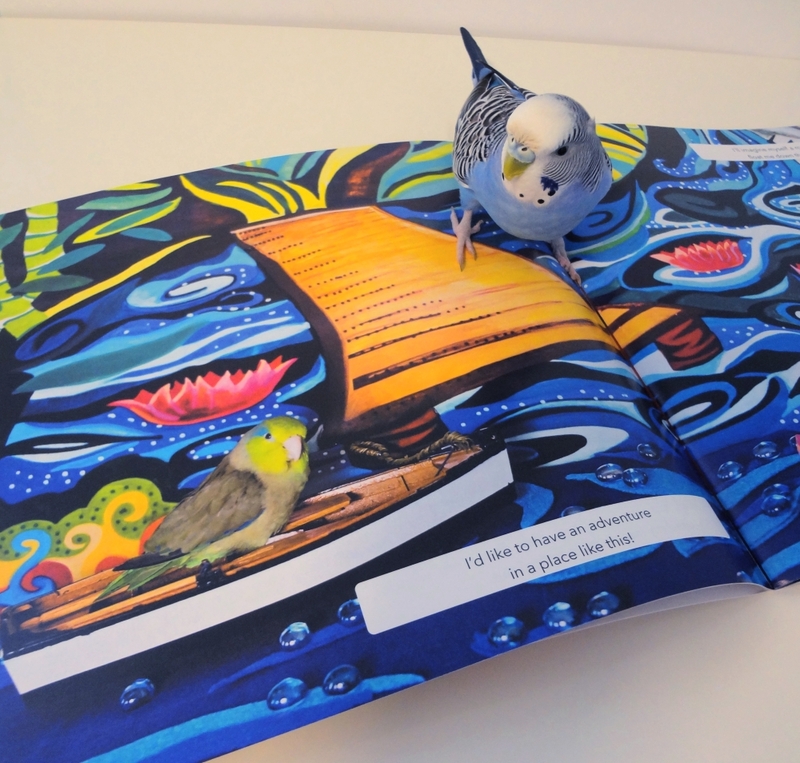 Posted on June 13, 2014 by Michelle M.
This month’s book is Nubs: A Little Bird with a Big Story by Kristin Ludwig. 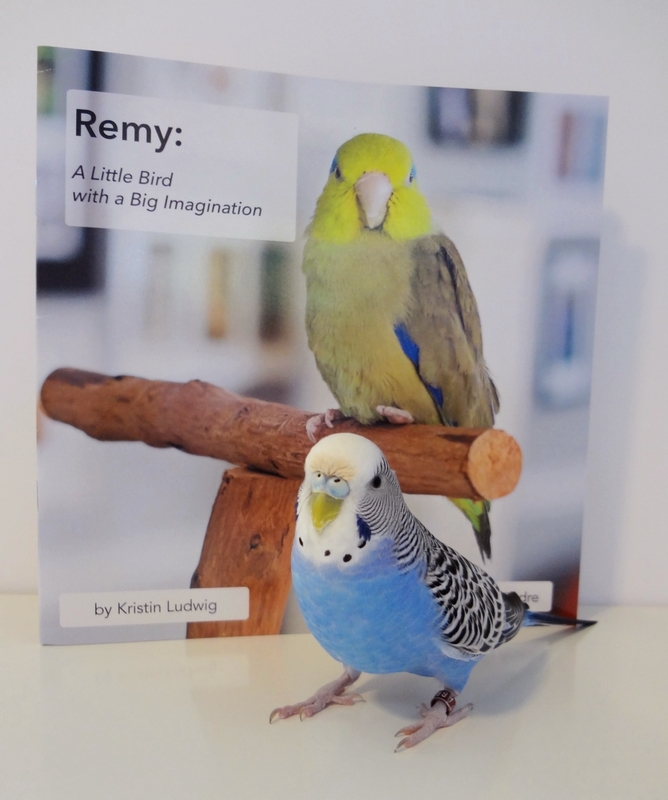 This book tells the true story of Nubs, a little one footed budgie. Nubs was rescued from a hoarder house that contained 500 birds. He was taken to a shelter where he was cleaned up and cared for. “The Lady with the Ponytail” (the author and volunteer who cared for Nubs) eventually took him home to live with her. 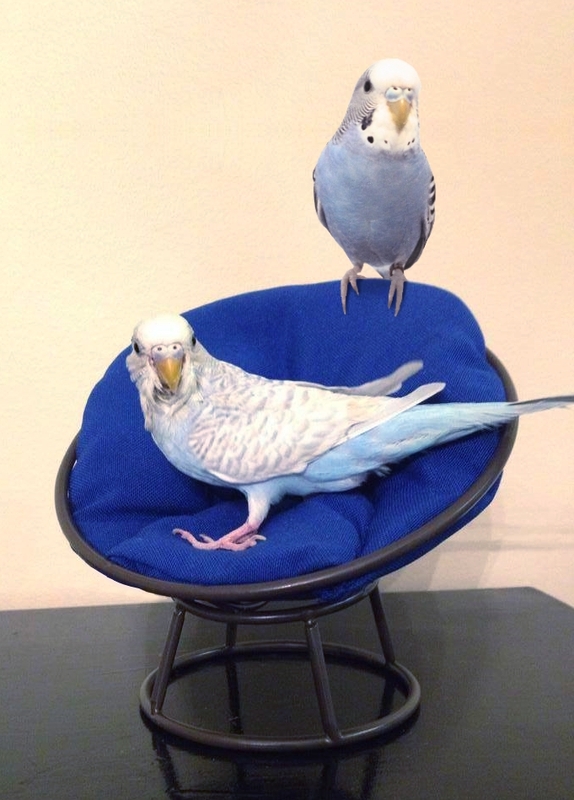 Nubs was joined in his new home by Freckles (another one footed budgie) and became a certified Pet Partner therapy animal. Cooper loved this book. She liked the message that it’s okay to be different and that every day is a chance for a fresh start. 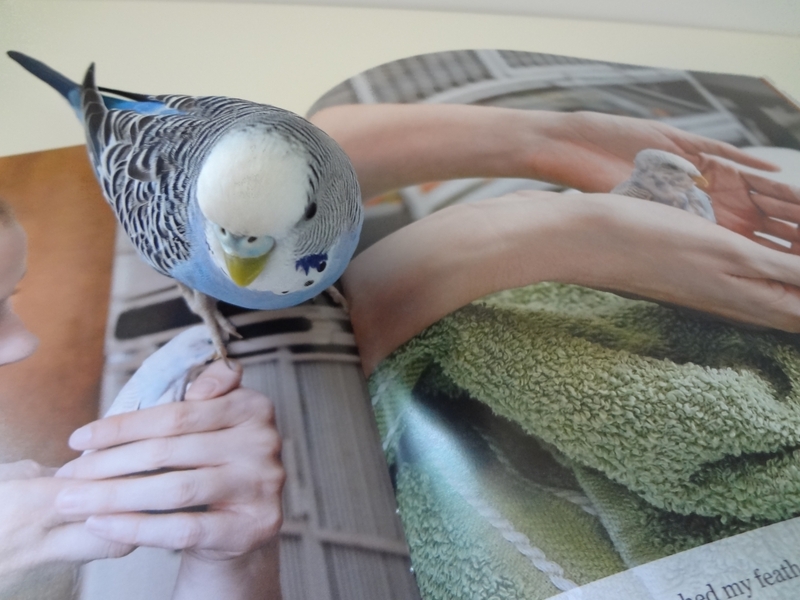 She also liked the big colorful budgie photos. 100% of the author’s excess revenue supports the ongoing care of Nubs’ flock, who now live at the Washington Park Zoo in Michigan City, Indiana. Nubs has his own facebook page and YouTube videos. 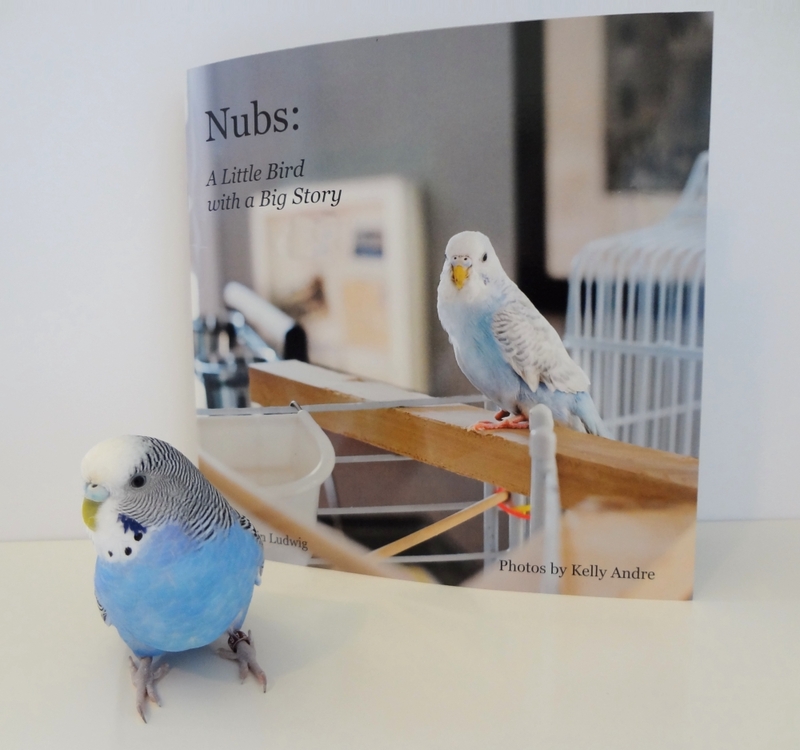 There is a NUBS (No Unwanted Birds) website if you would like to read more.